KWC M712 Full Metal BB Gun CO2 | ReplicaAirguns.ca | Easter Weekend Sale! 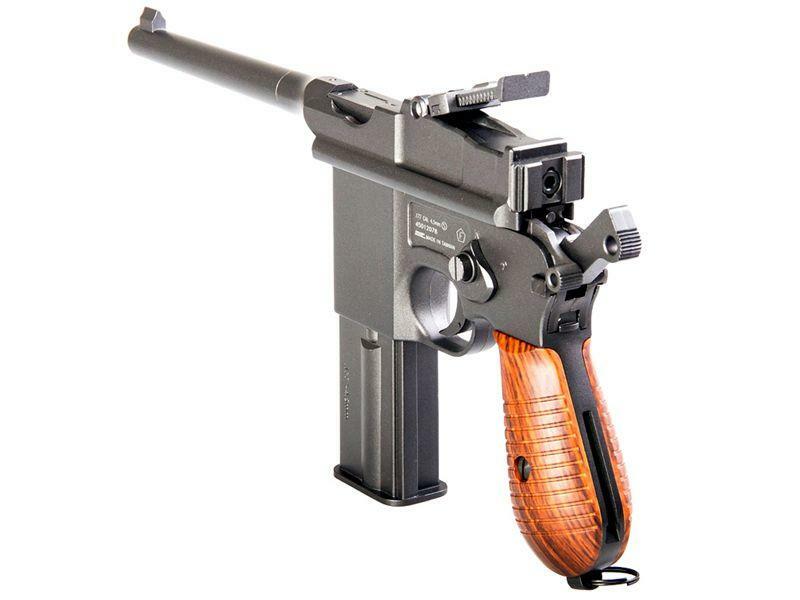 Trigger Pull: The trigger pull on the KWC M712 BB Gun is what you would expect from a full blowback, true single-action only pistol. It has a little bit of take-up and a fairly light, smooth release. When in full-auto mode, just press and hold the trigger until the ammo is gone. Don't hold the trigger too long though, because the gun will keep firing when the BBs run out due to the bolt not locking back when emptied. Accuracy: It took me a while to figure out exactly where this pistol was actually shooting. Once I realized it was shooting high and I adjusted the rear sight all the way to the bottom, I started getting shots onto the paper. I did have to hold really low to get near the bullseye. Overall, the accuracy at 30 feet out was very good as I got about a 2 inch group with 10 shots. Full-auto was, as you would expect, more of a spray and pray. I was surprised by the FPS performance – I still shot well over 400 FPS on a new CO2 cartridge. 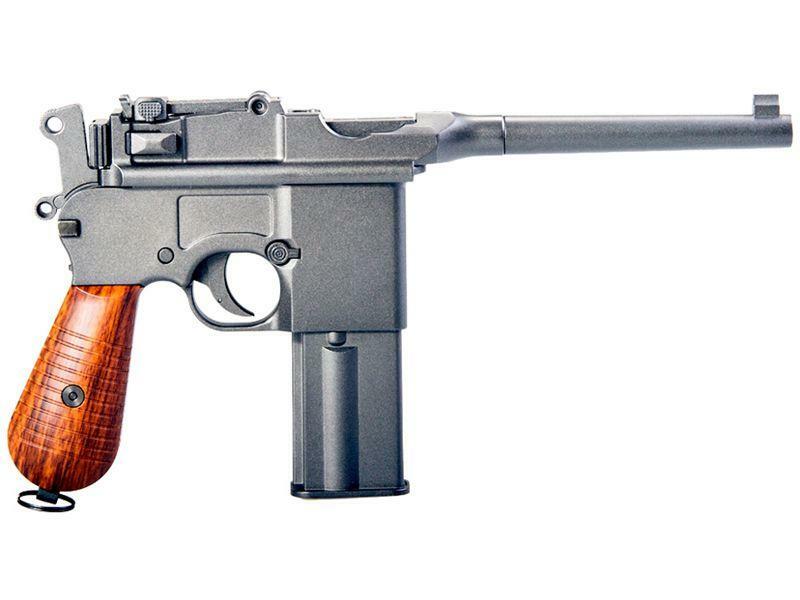 Realism: The KWC M712 BB Gun is spot on replica of the M1932/M712 Schnellfeuer with all the same working parts including the semi and full-auto selector switch. 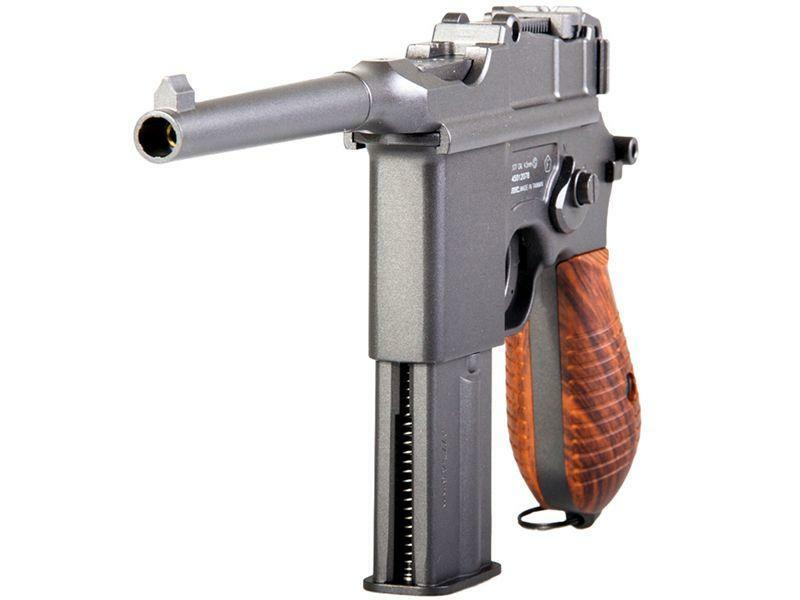 The pistol also has a full working bolt, hammer, safety, adjustable rear sight, and a full size drop out metal magazine that holds the CO2 and BBs. 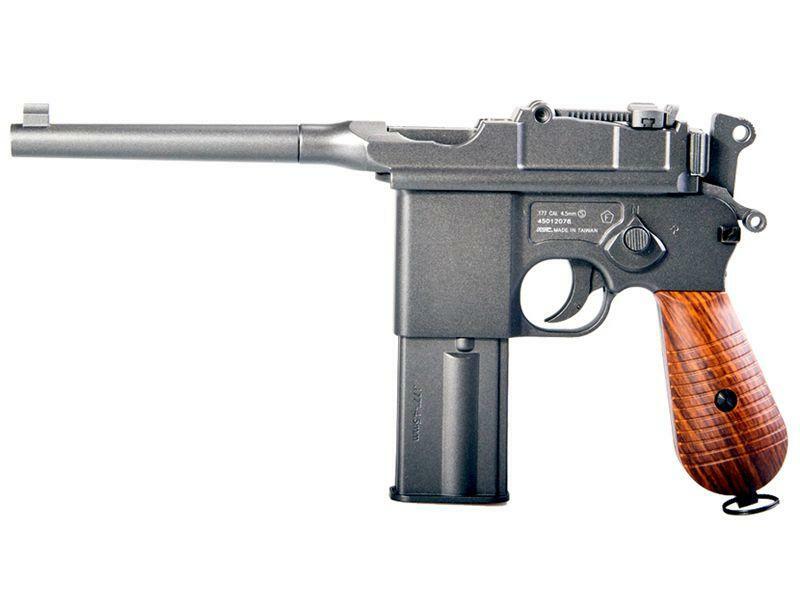 Comments: Overall, the KWC M712 BB Gun is the all-metal version we hoped Umarex had made. 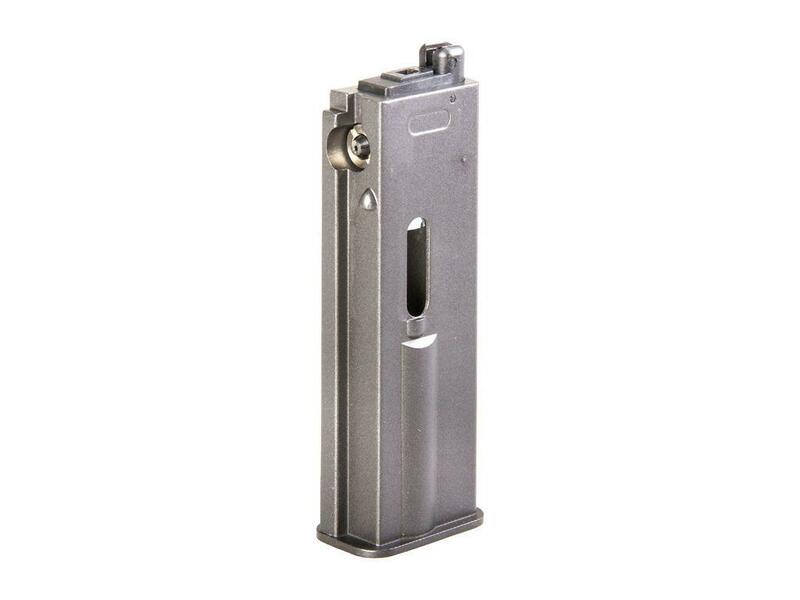 This one is available in both 4.5 mm steel BB and 6 mm plastic airsoft so this should make everyone pretty happy :). Other than the rather high shot placement, I really liked the KWC M712, especially the super high FPS and ultra-fast rate of fire in full-auto mode. 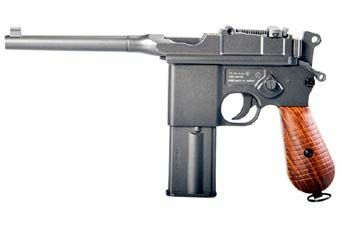 Another must have classic war pistol to add to the collection! 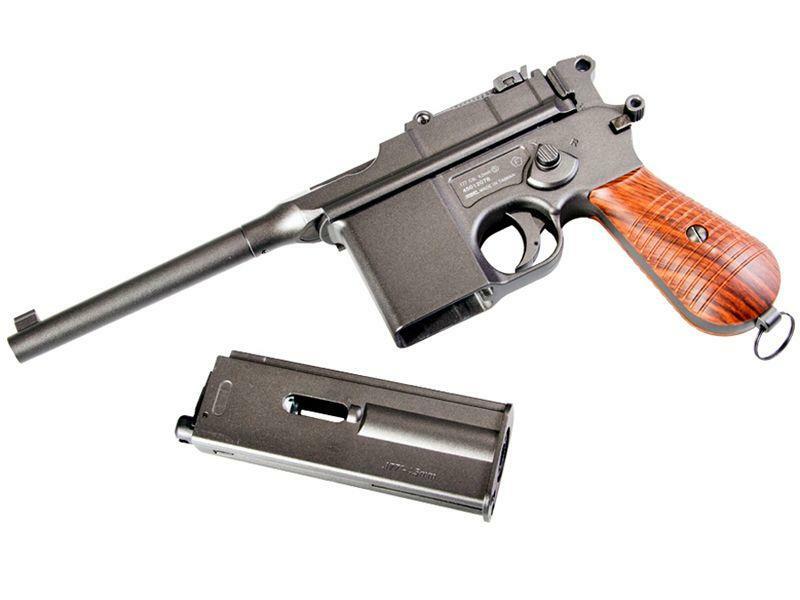 I always wanted a Mauser Broomhandle but did not want to pay upwards of $2,000 for the real thing (9mm or 7.63....)Nice weight and feel to the item. And am impressed with the action.I'm sure it will be a hit at the "range". I received my M712 today same high quality as the KWC Luger , also shoots great right out of the box. Firing the gun in full auto is an absolute hoot!Thanks Replica Airguns! 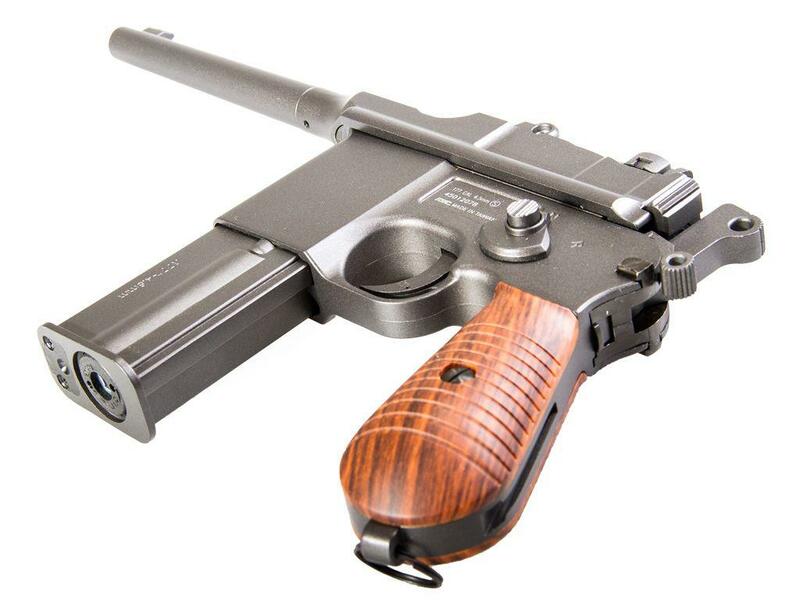 What a Blast. . . .
Make sure to watch my other KWC M712 Broomhandle CO2 BB and Airsoft Pistol videos and keep in mind we sell both the 4.5mm Steel BB version and 6mm Airsoft Version in our Canada Replica Airgun Store.